Being a Shyamalan movie, there are plenty of surprises in store, but perhaps the biggest twist is how superb the acting is. 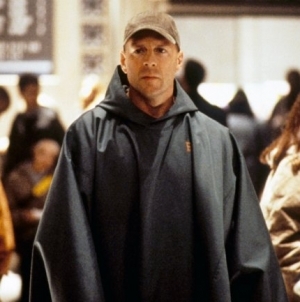 Though it seemed as if he would serve as a cautionary tale of precocious talent sunk by a propensity for excess and gimmicks, M. Night Shyamalan has rewritten his legacy with his recent work. Split follows the writer-director’s tight, creepy and surprisingly funny low-budget horror film The Visit, and cements Shyamalan’s new turn as the creator of cheaply-produced but intelligently-staged thrillers. He has shown an incredible ability to do more with less, a refreshing turn after his big-budget disasters during the past 10 years. One hopes that studios will continue to refuse him big budgets so that he can keep this new streak up. Much of Split’s beginning plays out like an episode of “Criminal Minds.” This isn’t a metaphorical comparison; the film literally starts out almost exactly like a 2006 episode of the television show in which three girls are kidnapped and then psychologically traumatized while being stored in what appears to be an underground bunker. And like an episode of a television procedural, the victims are initially rather forgettable (though well played by Haley Lu Richardson, Jessica Sula and Anya Taylor-Joy). The difference here, however, is their captor. James McAvoy’s Kevin suffers from dissociative identity disorder (usually referred to in pop culture as multiple personalities) and one of these personalities, Dennis, kidnaps the girls and begins rattling them with talk of human sacrifice. Matters become more complicated as it becomes clear that Dennis is just one of twenty-four personalities dwelling within Kevin. This requires a certain suspension of disbelief, as the portrayal of dissociative identity disorder is nearly offensive (though later plot twists aim for justification of sorts), but it is effective for mystery and scares. This being a Shyamalan movie, there are plenty of surprises in store, but perhaps the biggest twist is how superb the acting is. Anya Taylor-Joy, so good in 2016’s The Witch and Barry, is fantastic here as her character reveals some surprises of her own, and veteran actress Betty Buckley plays Kevin’s psychiatrist with a disarming amount of charisma. Most of the acclaim belongs to McAvoy, however, who gives a unique, committed and believable performance for each of Kevin’s personalities (though not all 24 get screen time). Some of these are terrifying, others funny, some are devastating and some are all three. 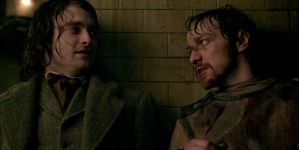 McAvoy is magnetic in each role, demanding the full attention of the audience. Though scary and fast-paced, Split is not entirely effective as a horror film or as a thriller. 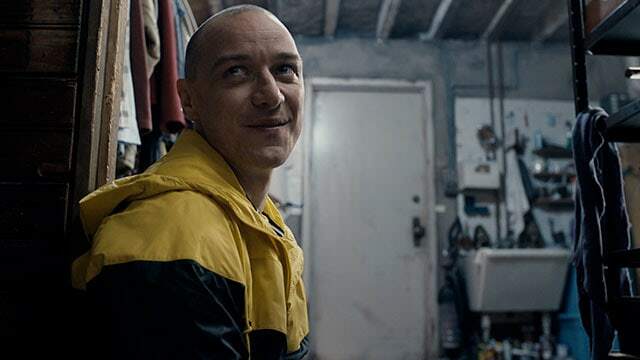 The plot relies too much on well-trod tropes, and though it brings new twists to the table, Split still can’t completely cover up the fact that we’ve seen most of this before. However, rarely does a film as bonkers as Split boast the mesmerizing performances on display here, which is particularly notable as nearly 10 of them are all performed by the same actor. 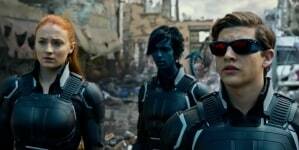 The superhero film is here to stay, for better or worse. Of course there's a twist.